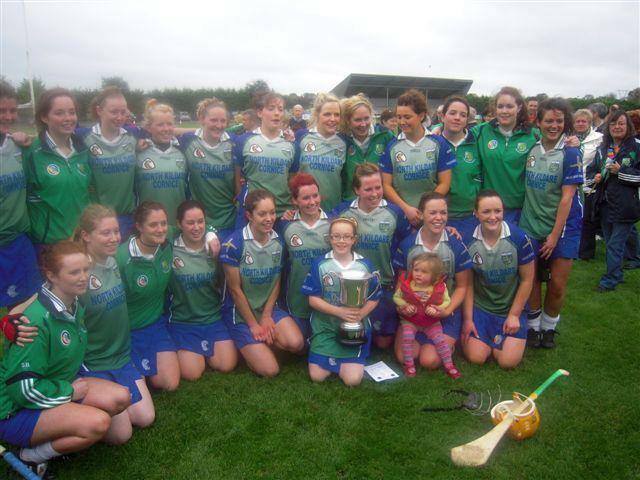 Naas Senior Camogie team have reached the Senior Camogie Championship Final for the first time since 1959. The Kildare Senior Camogie Championship Final between Naas and Johnstownbridge takes place Sunday September 30 in Clane at 2pm. "Naas have had a thrilling run to this final beating a fierce Clane side in the semi final. Naas have a tough battle in store as they take on reigning Kildare and All Ireland Club champions Johnstownbridge, however this Naas side have a dogged, never say die attitude and a great game is sure to lie ahead," said a club spokesperson. All support would be greatly appreciated for the final. Johnstownbridge are facing their eighth county final in a row. They defeated Celbridge in the semi-final by 3-09 to 0-07. "Everyone has a part to play and hard work and commitment is all that is asked for. So if you want to be part of this team then dust of your bobble hat and be prepared to support these amazing girls once again, because it doesn't matter if it is their first or their 8th county final the #gohardorgohome work ethic will be as much on display this weekend as it was 8 years ago," said the Johnstownbridge camogie facebook page.